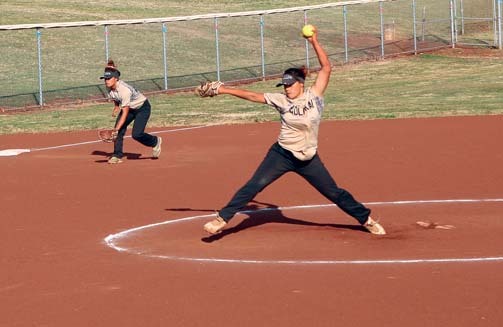 The Molokai High School softball team banged out 14 hits to beat Lanai 22-6 in three innings and clinch the Maui Interscholastic League Division II regular-season title Friday on the Friendly Isle. Cami Horner drove in five runs and tossed a three-hitter, and Felicity Pastrana had four RBIs to lead the Farmers (3-0). The Pine Lasses fell to 0-3. Nyssa Barfield and Angeline Matute. Cami Horner and Felicity Pastrana. 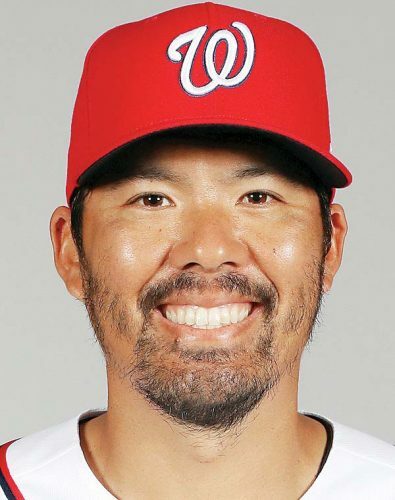 W–Horner. L–Barfield. 2B–Lanai: M. Manuel; Molokai: Cahl Horner, Lia Meyer, Pastrana. 3B–Molokai: K. Helm. Leading hitters–Lanai: Ayan Bringas 2 RBIs, run; Molokai: Cah. Horner 2-2, 3 runs, Meyer 3-3, 3 runs, 2 RBIs; Cam. Horner 2-4, 4 runs, 5 RBIs; Pastrana 2-4, 3 runs, 4 RBIs; J. Paleka 3 RBIs, 2 runs; Helm 2-3, 2 runs, RBI; K. Luuloa 2 RBIs, 2 runs. Kamehameha Maui vs. Baldwin at Maui High, 10 a.m.